If your laptop DVD writer is not working properly or you need a good external DVD writer then you are at the perfectly right place. External DVD Writers comes in very handy and in my opinion it is a must have device for everyone especially for laptop users. 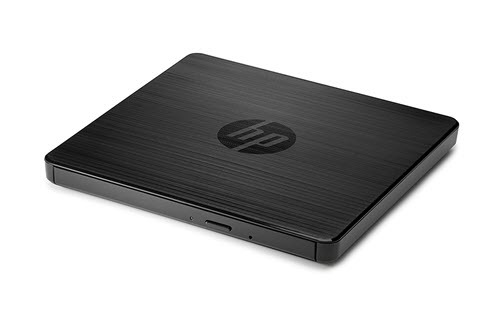 Laptop optical drives are not that good and after sometime they tend to give problems in reading / writing DVDs or CDs. So in this scenario external DVD writers come in very handy for reading and writing CDs or DVDs. Portability – External DVD writers are portable and they are easier to carry around with you. They have almost the same size of an external hard disk. They are also not heavy and you can easily slip them in your bag. USB Connectivity – External DVD writers are plug and play devices and they come with USB connectivity. Also they do not need an external power source for working. You can plug these external DVD writers in the USB port of your computer and then you are good to go. Great for Emergencies – If your PC or laptop DVD drive fails for some reason then an external DVD writer is a great life saver as it can be used to read / write CDs or DVDs for your computer. Use with any Computer – These portable external DVD writers can be used with any computer whether it is a Mac or Windows PC or a Laptop. Great for Netbooks – Netbooks do not come with optical drive because of its size restriction. So if you have to Read or Write CD / DVD or install operating system on it then you can do it with an external DVD drive. Here are the best portable DVD writers that you can buy in India for reading / writing CDs or DVDs on the go. These portable external DVD writers are not expensive and you can get them under 2000 rupees in India. You can use these portable DVD writers with a Notebook, Netbook or a PC. 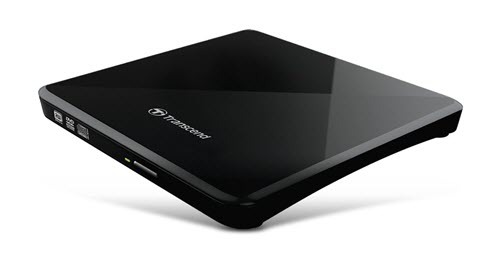 Transcend TS8XDVDS-K is an external portable DVD writer that has Ultra Slim design and offers great performance. It is only 13.9mm thick and supports all CD/DVD formats including dual layer discs. It supports CD-R/RW, DVD±R, DVD±RW, DVD±R DL, DVD-RAM media and comes with USB 2.0 interface. It does not require any external power source and it comes with a free download of CyberLink Media Suite 10 (including Power2Go and MediaShow) media writing software suite. This external DVD writes comes with rubber feets on bottom which prevents it from slipping. The buffer memory is 1MB and it supports Windows XP/Vista/7/8/10 and Mac OS X 10.4 or later. You can use this external DVD writer with a laptop or PC and you can get it under 2000 rupees from the link given below. An ultra-slim and lightweight portable DVD burner from LG. 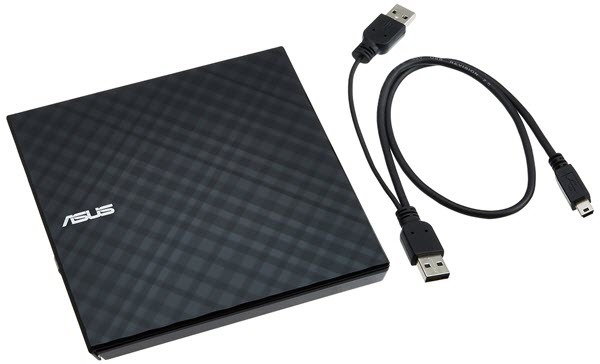 This is a very good and sleek DVD writer that is only 14mm thick and comes with USB 2.0 connectivity. LG GP65NB60 External DVD Writer supports almost all CD and DVD discs and it comes 0.75MB buffer or cache memory. The external DVD writer is super silent in operation and the transfer rates are also decent. It is compatible with Windows 8.1, Windows 8, Windows 7, Windows Vista, Windows XP, Windows Server 2008, Windows Server 2003, Mac OS X (10.7.5) operating systems. You can get this portable DVD writer at around 1500 – 1600 rupees in India. A slim USB DVD writer from Dell. This DVD writer from Dell is slim and lightweight. The build quality is average and not too great. It is 14mm thin and does not require external power source. It comes with USB 2.0 interface and works with almost all CDs and DVDs. The buffer size is 0.75MB and it supports Windows OS only. It comes with features like Automatic Buffer Under Run Error Protection Technology, Emergency disk eject hole, Active Optimum Power Control (AOPC) and CPRM support. 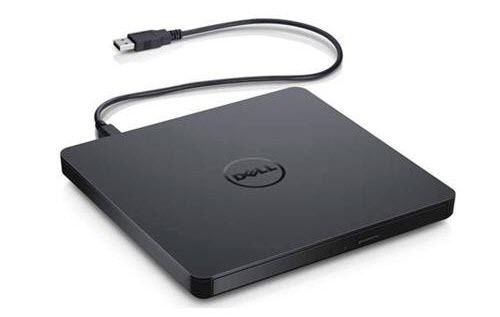 You can get this Dell DVD writer at well under 2000 rupees from the link given below. A high quality and reliable external DVD writer from Asus. It has decent build quality and performs well in both reading and writing CDs / DVDs. The main drawback of this external DVD writer is that it needs two USB 2.0 ports for its working. This can be a huge problem for laptop users because most of the laptops comes with only 3 USB ports. Asus SDRW-08D2S-U LITE External DVD Writer comes bundled with Cyberlink Power2Go 7 and E-Green softwares. The DVD writer supports following disc formats: Audio CD, Video CD, CD-I, CD-Extra, Photo CD, CD-Text, CD-ROM/XA, Multi-session CD, CD-R, CD-RW, CD-ROM , DVD±R(SL/DL), DVD±RW, DVD-ROM(SL/DL), DVD-RAM, DVD Video. It can work on both Windows and Mac Operating Systems. You can get this Asus External DVD writer at under 2k rupees from the link given below. An ultra thin external DVD writer from HP. It comes with USB 2.0 port and supports wide range of CDs and DVDs. It is compatible with Windows and Mac OS. You can get it under 2k rupees using the link given below. 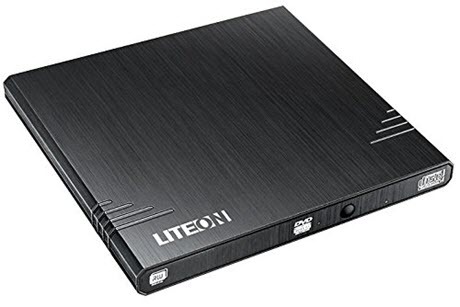 Liteon is a company that is known for making high quality optical drives. Here from Liteon we have Liteon eBAU108 External DVD Writer which is the world’s slimmest and lightest external DVD writer. It is 13.5mm thick and weighs only 220 grams. It comes with USB 2.0 interface and supports almost all CDs and DVDs. The build quality of this portable DVD writer is very good too. The various features include Smart-Burn, read speed adjustment, TV compatibility. It is compatible with Windows, Mac and Linux operating systems. It is a bit expensive than other external DVD drives and you can get it under 3000 rupees from the link given below. Highly Recommended by me. I have listed down the best portable external DVD writers that can be used with both PC and Laptops. All these external DVD writers are plug and play and comes with USB 2.0 connectivity. If you have any queries about these external DVD Writers then you can ask me by leaving a comment below. Dear varma , Best USB 3.0 External DVD Writer for PC and 65 inch 4k smart TV . Hi verma from devali i am using same Tv you Recommended purchased in amazon , for this tv i need a dvd writer 3.0 version. Still confused between transcend and LG …which one i should go for?? both have almost same performance and quality. Go with the cheaper one. Dear Verma, Can I use a DVD writer for iPad. If so, which is the best DVD writer for windows and mac? What about android?